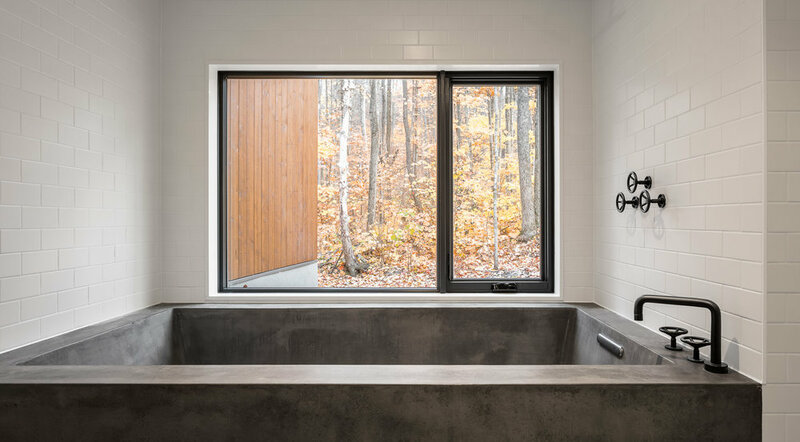 "Overlooking Oblong Lake in Haliburton, this cottage is envisioned as a lightly-treading response to its rugged surroundings. 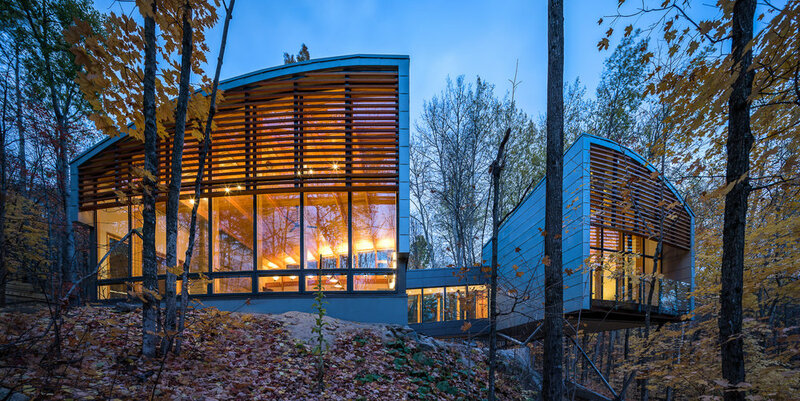 The radial form of the cottage spreads over a sloping site, pulling the rocky landscape into the interior while maximizing lakefront views. 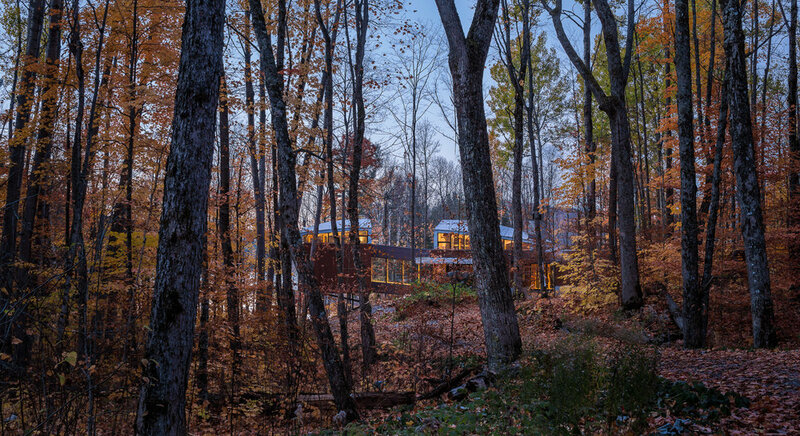 Three discrete volumes provide living, sleeping and guest areas, and are all connected by a continuous curved corridor. 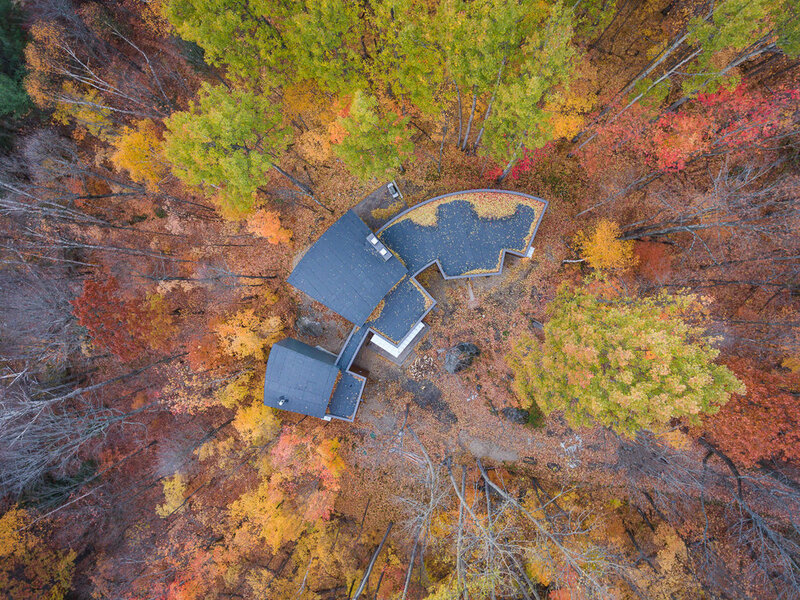 Elevated atop steel piers and connected by a bridge to the rest of the cottage, the master bedroom resembles a ‘lookout’ tower situated among the tree canopy. 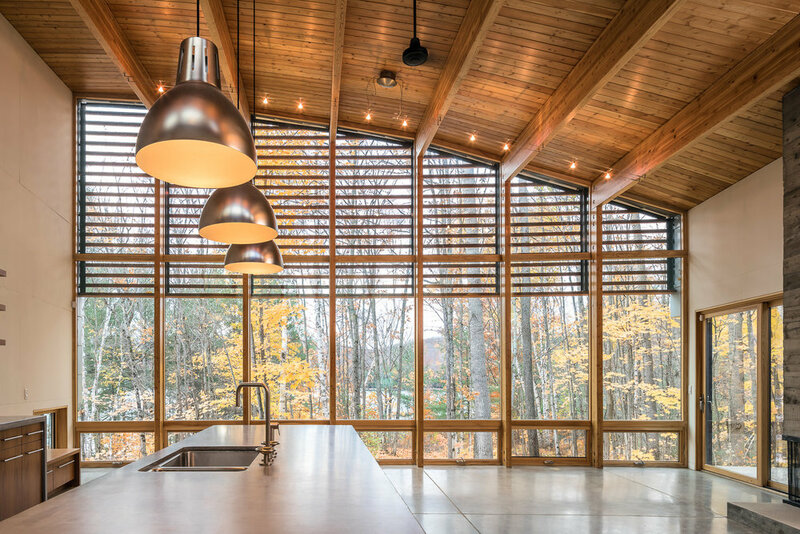 Lofty interior spaces feature exposed glulam wood framing, generous glazing toward the lake and cast concrete features throughout."